Tech21 Unveils Exclusive Collaboration with Liberty London – Spotlight Report "The Best Entertainment Website in Oz"
Tech21, the leader in impact protection for mobile devices, is pleased to announce an exclusive new collaboration with Liberty London, the famed London retailer known for its iconic prints. Designed in London, the collaboration marries directional print design with advanced protection for your mobile device. The new tech21xLiberty London range features ten different print designs available across three product styles: Evo Luxe, Pure Print and Pure Design. All three styles contain high-performing impact materials unique to tech21 which absorb impact energy, protecting the device inside drop after drop. 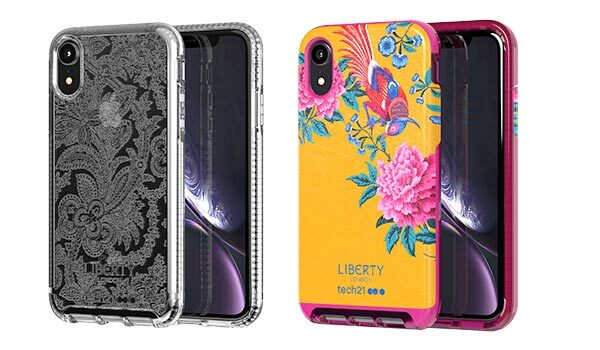 Tech21xLiberty London cases will be available online at tech21.com and libertylondon.com, as well as in select retailers globally. Evo Luxe Elysian Paradise. Based on an original hand-painted furnishing design, Elysian Paradise sets tropical birds among blossom branches and chrysanthemums to create an exotic floral. Available for iPhone XS, XS Max and XR at tech21.com at RRP $69.95. Evo Luxe Francis. Influenced by the Renaissance movement, Francis takes inspiration from the feathers and peacocks abundant in Liberty prints in the late 1880s. 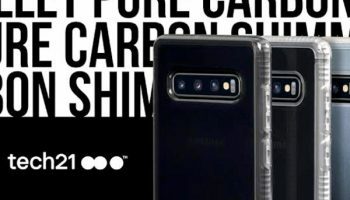 Available for iPhone XS, XS Max and XR at tech21.com at $69.95. Evo Luxe Marham. With its dynamic composition and use of colour, Marham is an intricate French paisley created by Liberty in 1962. Available for iPhone XS, XS Max and XR at tech21.com at RRP $69.95. Evo Luxe Iphis. Iphis is a nine-flower stylised silhouette which acts as a signature motif across the Liberty London accessories collection. Available for iPhone XS, XS Max and XR exclusively at Liberty London in-store and online at libertylondon.com at RRP $69.95. Evo Luxe Azelia. With trailing leaves weaving amongst bold flowers, the Azelia print is a modern reworking of a distinctive Art Nouveau floral unearthed from the Liberty archive. Available for iPhone XS, XS Max and XR at tech21.com at RRP $69.95. Pure Print Prunella. Originally designed in 1965, Prunella uses morning glories, chrysanthemums and roses to create beautiful clusters of Asian-inspired florals. Available for iPhone XS, XS Max and XR at Liberty London in-store and online at libertylondon.com and tech21.com at RRP $59.95. Pure Print Margot. Originally designed in the 1820s, Margot is a Persian-style paisley which uses the intertwining flowers and leaves from a pine tree to form a delicate boteh motif. Available for iPhone XS, XS Max and XR at tech21.com at RRP $59.95. Pure Print Christelle. Featured in the early 1990s Liberty collections, Christelle was inspired by traditional Indian chintz florals which were brought to Europe in the 17th century. Available for iPhone XS, XS Max and XR at tech21.com at RRP $59.95. Pure Print Arundel. A newer design from the 45,000-print archive, Arundel, designed in 2007, uses delicate lines to form a decorative floral paisley pattern. Available for iPhone XS, XS Max and XR at tech21.com at RRP $59.95. Pure Design Grosvenor. Inspired by a 1968 paisley floral, Grosvenor features large trails of Central Asian-style paisley leaves, linked by small flowers and arranged in garland-like shapes. Available for iPhone XS, XS Max and XR at tech21.com at RRP $59.95.